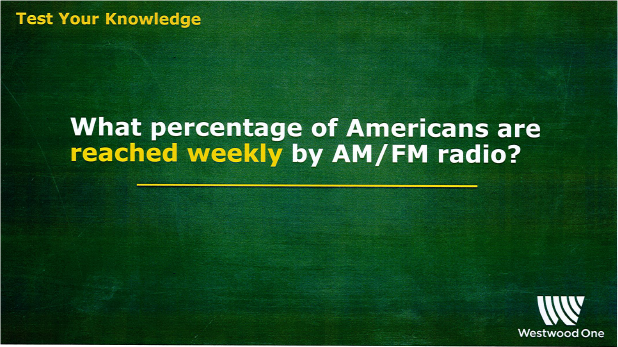 WHAT % OF AMERICANS ARE REACHED BY AM/FM RADIO? 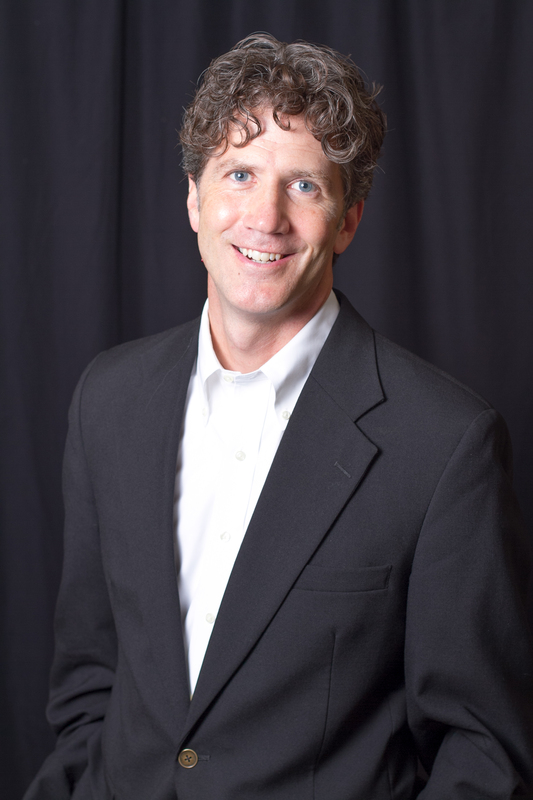 Perception: Agencies and advertisers think 64% of Americans are reached by AM/FM radio, according to an Advertiser Perceptions study conducted in May 2015. WHAT % OF AMERICA’S COVETED MILLENNIALS (18-34) ARE REACHED BY TELEVISION AND AM/FM RADIO? WHAT IS THE U.S. 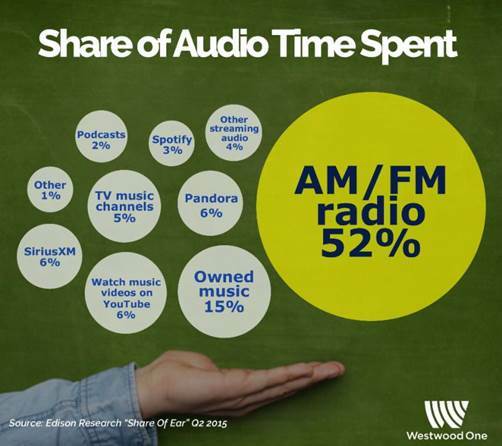 AUDIENCE SHARE OF AM/FM RADIO COMPARED TO STREAMING SERVICES? 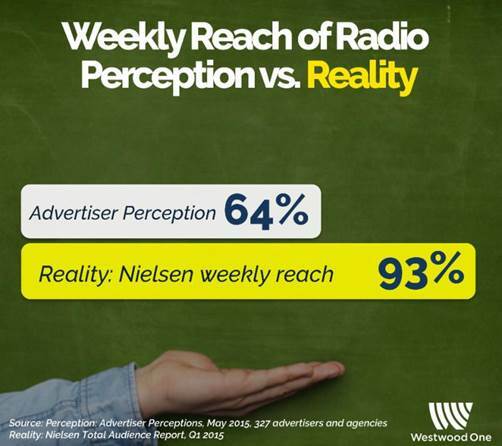 Perception: Advertisers and agencies think the audience share of AM/FM radio is nearly the same as streaming, according to Advertiser Perceptions. WHAT % OF AMERICANS ARE REACHED BY PANDORA AND SPOTIFY? Perception: Advertisers and agencies think Pandora and Spotify reach 27% and 20% of Americans respectively, according to Advertiser Perceptions. Click here to see the highlights of the Perception vs. Reality study. TV’s Last Big Year, 2016? Trump To Shake Up FCC?